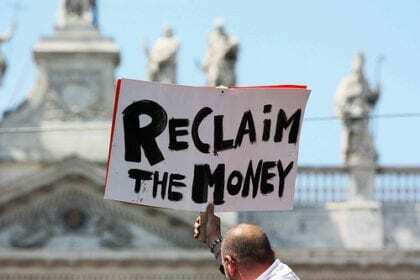 The Italian branch of the Basic Income Network (BIN Italia) has written a plea about Guaranteed Minimum Income to the newly elected Parliament, still struggling to form a government. “May the Parliament listen to our society. Guaranteed Minimum Income is something we can’t do without any longer. Something that until a few years ago was confined to the scope of utopias and eccentricities of some activists, the guaranteed minimum income is now one of the main themes of the 2018 political and electoral debate. The material condition of millions of people, the economic difficulties of evergrowing population groups, the weight endured by generations of occasional workers and temporary employees, have drawn attention to the necessity for reform toward this direction. Italy’s delay on this issue is now intolerable. It would seem reasonable to begin with prompts such as the 2017 european resolution that exhorted the member states to adopt a guaranteed minimum income policy, as defined in the 20 principles and rights of the European Social Pillar released on November 2017, in Göteborg, with the joint declaration by the European Union (EU) organs. Among the 29 points of the European Social Pillar, is number 14: the right to an «adequate minimum income». The EU has been asking Italy for years to conform to supranational parameters on this matter, and so did recently the Council of Europe, denouncing the persisting lack of effective policies against social exclusion (in contravention of the European Social Charter article 30). Despite all this, the adoption of a guaranteed minimum income policy in our country seems far away. Over the last years, propositions and calls have also come from large portions of society, campaigns and public initiatives. These have examined and integrated/absorbed the experiences of other european countries, the international debate and the experiments currently underway in many countries in the world. From all these experiments, it’s clear that a guaranteed minimum income is much more than a benevolent bestowal. It’s an instrument to acknowledge and value personal histories, skills, abilities and aspirations, in the pursuit of a free and decent life. We ask the Italian Parliament to take on the responsibility to begin, as soon as possible, a debate about the introduction of a guaranteed minimum income in Italy. At this point, and even more now, after the latest elections, this issue cannot be neglected. Millions have voted also to see this proposal put into practice. We are aware that different approaches exist and that some of the political parties have already made their proposals official. But these differences can be overcome in a debate free of preconceived divergences, and a legislative process ought to be set in motion in this direction. In order to have debate as wide and universal as possible, we believe it can be useful to begin with the draft law proposed by a citizens’ initiative. That proposition, written in 2013 and supported by a large coalition in civil society, was never examined by the Parliament. Also useful can be the 10 points of the Platform for a Guaranteed Minimum Income, drawn up by the Rete dei Numeri Pari.